The US Federal Communications Commission last month granted Elon Musk's SpaceX permission to launch 4,425 satellites that will provide affordable high speed broadband internet to consumers. SpaceX isn't the only company investing in global internet infrastructure. Facebook, Google and Microsoft all have various projects underway to deliver high speed connectivity to remote and rural areas. It's all part of a trend of private companies attempting to breach the digital divide and wage a battle for the global internet. But entrusting market forces to build critical internet resources and infrastructure is problematic. These companies aren't obligated to operate in the interest of consumers. In some cases their practices could serve to further entrench the existing digital divide. As society becomes increasingly dependent on the internet, nations and communities need equal access. Otherwise legacy inequalities will become further entrenched and new divides will emerge, potentially creating a "permanent underclass". Along with SpaceX's constellation of small satellites, Facebook's internet.org uses atmospheric drones to deliver internet to rural and remote areas. 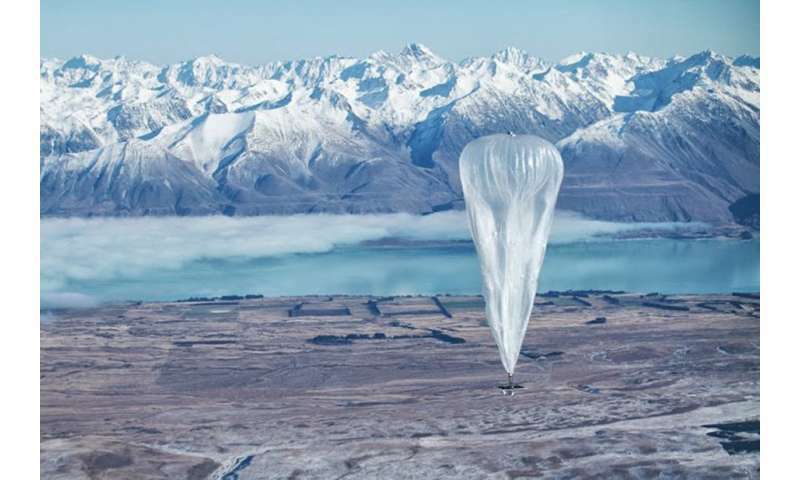 Google's Project Loon uses high altitude navigable balloons for the same purpose. International Telecommunication Union, World Telecommunication/ICT Development Report and database. This can be innocuous enough, such as when the company that makes League of Legends built its own internet network to ensure its players weren't upset by slow speeds. But it's more of a problem when faster connections can tilt investment and trading playing fields in favour of those with access, leaving ordinary investors out in the cold. Facebook's Free Basics is a program that aims to provide cheap internet services to consumers in developing countries. It currently operates in 63 developing nations. Critics say the service is a blatant a strategy to extend Facebook's global dominance to the developing world. It's also been accused of violating net neutrality by strictly controlling participating sites to eliminate Facebook's competitors. These companies were not acting under government direction, citing violations of their Acceptable Use policies to justify their decisions. Harvard professor Yochai Benckler said at the time: "Commercial owners of the critical infrastructures of the networked environment can deny service to controversial speakers, and some appear to be willing to do so at a mere whiff of public controversy." SpaceX must meet a host of technical conditions before Starlink can be activated. But we shouldn't assume that providing internet access to developing countries will lead to an ecosystem from which economic or social benefits will flow. When the logic of corporate capitalism dominates the provision of internet services, there's no guarantee that the internet's founding principles – an egalitarian tool where users share information for the greater good – will be upheld.